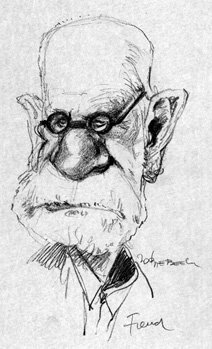 I’ll stick with posting about psychology, since school/work is all I’ve been doing lately. 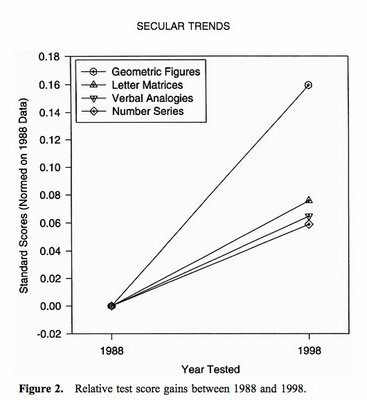 I came across an article (Teasdale & Owen, 2000) which looked at trends in intelligence scores over the last few decades. As you may know, intelligence has been steadily going up over time. This study looked at a Danish population, to see if IQ is still going up. The graph above shows what they found. It’s not going up as much as it used to, except visuo-spatial abilities (working with shapes in your head), which continue to increase. So there you have it. Contrary to what some believe, video games are not responsible for the downfall of society; it’s the opposite. Video games are making everybody smarter. Parents: start your kids off on the right foot. Get those toddlers playing Grand Theft Auto right away. Teasdale, T., & Owen, D. (2000). 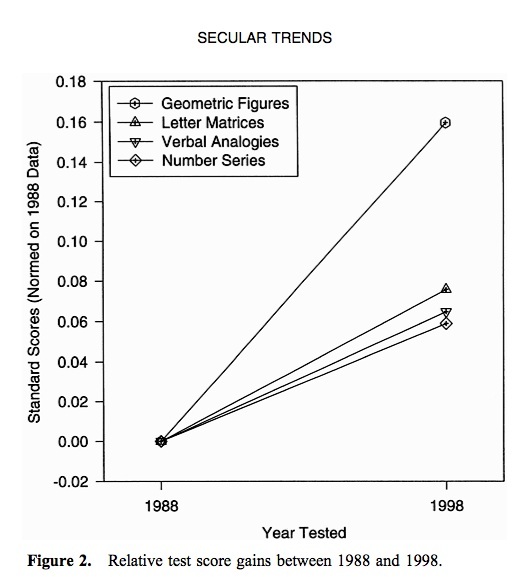 Forty-year secular trends in cognitive abilities. Intelligence, 28, 115 – 120. Seriously. I barely know what it’s talkng about. How about this? “A home page is the first thing you see when you visit a web site.” Much better.